Jo qualified as a dental hygienist in April 1994 from University of Liverpool Dental Hospital. Since qualifying Jo has worked in private practices in the Warwickshire area. 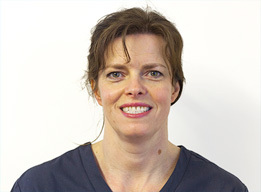 In September 2009 Jo joined our dental team at Wellesbourne and Stratford. Jo lives in Stratford with her husband, two children and her Springer Spaniel Coco.